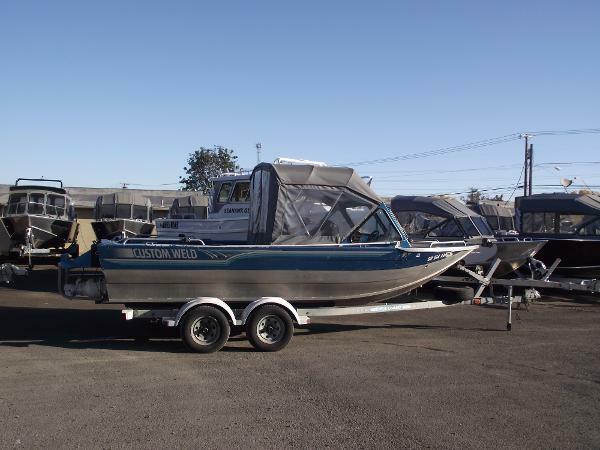 1996 Boston Whaler Rage 18 foot jet boat for sale - don't confuse this one with it's smaller 15 ft cousins! 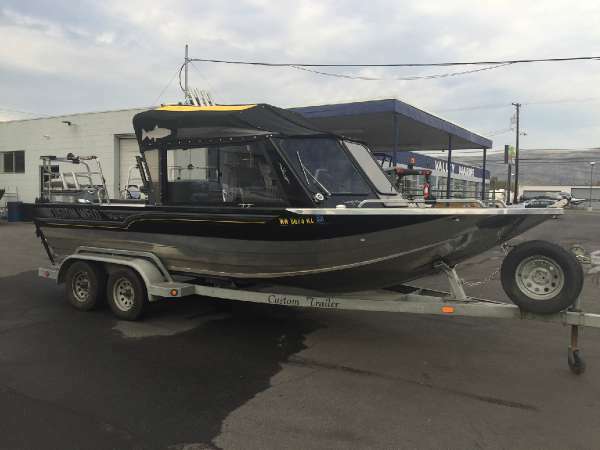 This Rage 18 is powered by a 285 hp Ford 351 small block V8 direct coupled to an American Turbine jet drive, combining the capability of jet boats with the legendary Boston Whaler quality and safety. Freshly rebuilt carb installed, new battery, and trailer upgraded with heavy duty new tires/hubs. 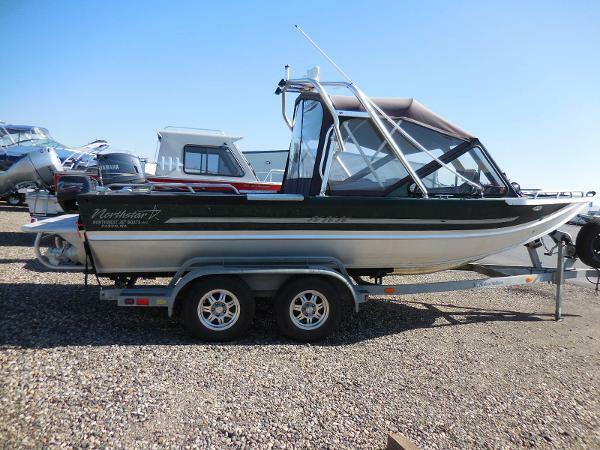 Wakeboard, handheld radios, canvas full mooring cover and Bimini top also included. Had it on the water a few weekends ago to check it out, see link below for youtube video of it on the water. Link to the youtube video showing this Whaler Rage in action:https://youtu.be/KP4NG_T2-bAThis item is also listed locally on craigslist in Orlando, FL, and you can use that as well to call/text me with questions. Condition:Hull: Very good. 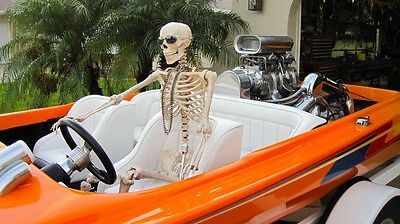 Some cosmetic chips and crack but overall nice, solid and in good shape.Engine: Starts and runs well. Has mostly been sitting, but now has fresh rebuilt Holley 4160 Marine Carb. Hour meter shows 176 Hrs, but I don't know how that accurate that is.Jet Drive: Factory(American Turbine in WA) rebuilt steering/reverse nozzle just installed. Main Jet drive appears in decent shape and worked well in on-the-water test.Electric: New battery installed. Main sytems(starter, alternator, gauges, blower) working fine. Accessory electrical items(nav lights, bilge pump, stereo, fishfinder) are not working. Nav lights and bilge pump used to work about a year ago, but now won't come on and I haven't looked into why. Stereo and fishfinder have never worked for me, and I've never tried to figure out why.Trailer: Very good. Tires upgraded to larger size, all new hubs, bearings, rims, tires and spare new as of a year ago. Lights/wiring also are in good working order (though one running light is missing from plastic fender). 2004 Boice Jet Project 2004 21ft Boice jet bought new without a motor and was never put in the water and never finished. boat is loaded windshield wipers heater installed hand/wash down station. 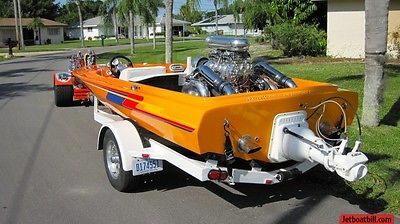 new American turbine jet pump exhaust navigation lights custom aluminum welded trailer etc etc etc Minor wiring steering and motor and this boat would be ready for fun. 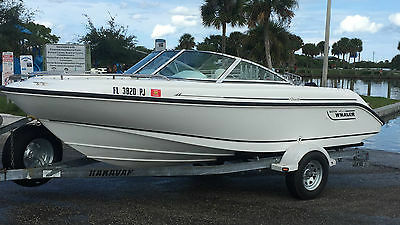 We are Promark Marine sales and sevice and we can finish this boat for a buyer. Please contact us for a quote. 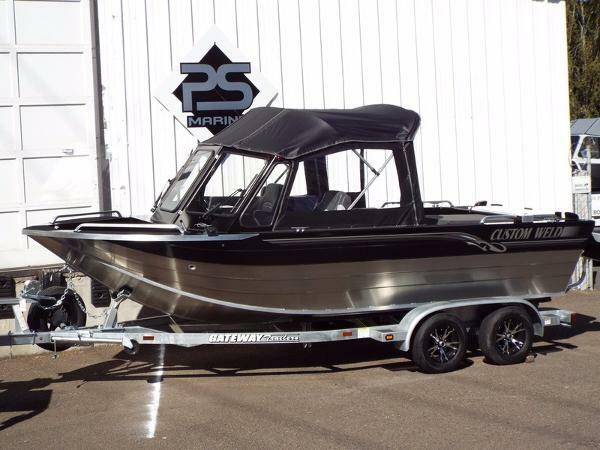 2017 CUSTOM WELD BOATS 20' Cobra IB Jet ORDER! 2017 Custom Weld Boats 20' Cobra IB Jet Order! 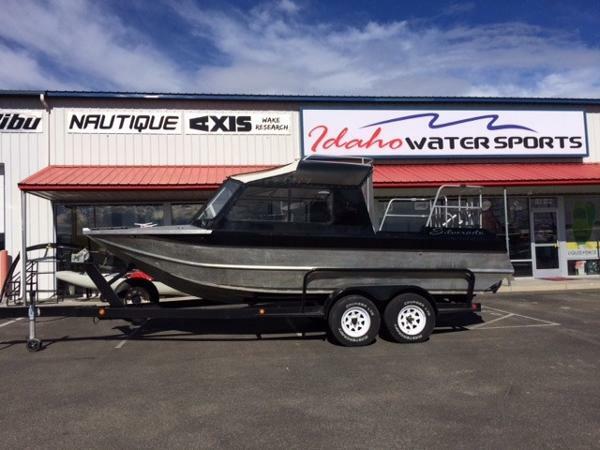 Kodiak Custom Inboard Jet Boat!KODIAK EFI 350 V8 with SD312 PUMP! 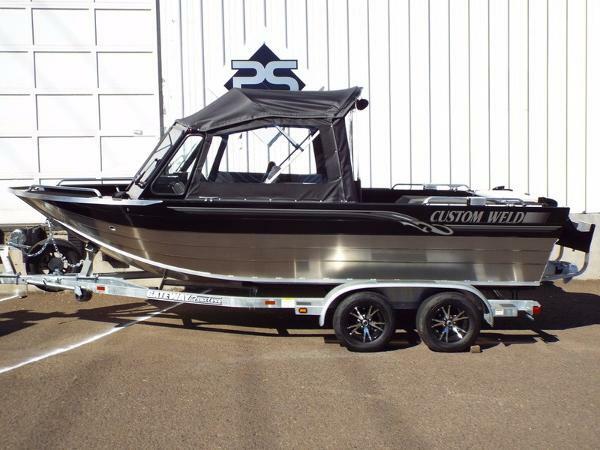 CELEBRATING 30 YEARS BUILDING THE BEST CUSTOM BOATS!Custom Weld 20' Inboard Jet, LOA is 22 with Swim PlatformOptions Include:- Kodiak 5.7L 350 Chev- American Turbine SD312 Pump w/ SDR bucket- Stomp Grate- Mariner Suspension Seats- 32" Side Bench Seats- 1/4" Bottom Upgrade- Fish Box in Transom- Full Custom Canvas (top, Side, Backdrop)- Dual Wipers- Swim Step w/ Ladder & Grab Handle- Kicker Bracket w/ Fuel Quick Connect- Gunnel Pads - Bow Rails- Stern Rails w/ Down Rigger BracketsComes on a Custom Gateway Welded Trailer w/ Electric Brakes, Swing Tongue, and Spare TireWe reserve the right to change options on boat packages at any time. Pictures and descriptions may change without notice or correction to webpage. 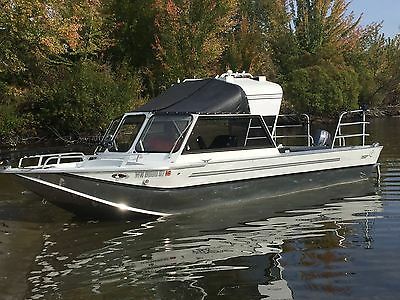 1998 Silverado 21' 1998 Silverado 21' Jet boat with 08' EFI 5.7L Engine. 460 Hours. American Turbine SD-312 Pump w/ Stomp Grate, Boat Cover, Heater, High Deck and Rails, and Tandem Trailer. 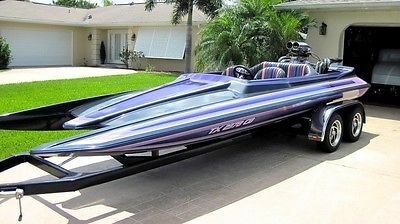 2001 Custom Weld Cobra 2001 Custom Weld Cobra 20' Inboard JetAmerican Turbine AT 309 Pump With Best reverse Marine power V8 Carbureted 350 with 696 HrsLowrance Color GPS Fish FinderVHF radio4 Flobe rob holdersMiller anchor nestSwim step with ladderTandem axle Ezloader trailer with Spare tire.